Why Do I Need Business Security? You protect your home, why wouldn’t you protect your business and your assets? After all, your business is your livelihood, your means of income and security for you and your employees’ families. According to the Home Office statistics for crimes against businesses, there were more than 22,706 reported crimes per 1,000 premises in the retail and wholesale sector last year, with theft contributing to 18,299 of crimes. A total of 44% of businesses have been affected by crime with an average of more than 22 crimes per premises, with theft by customers affecting 24% of businesses. Each business experienced this an average 59 times, costing companies up to an average of £9,525, with those employing 10 or more people more likely to become a victim of crime. That’s why it is a good idea for retail premises to invest in static guarding. A visible security guard acts as a strong deterrent to thieves. For those who are not so easily deterred, a combination of both security guards and CCTV installation and monitoring seems to work well. The number of crimes experienced within the manufacturing sector is lower than retail but still alarmingly high with recorded 2,755 crimes, that’s more than two incidents per premises. 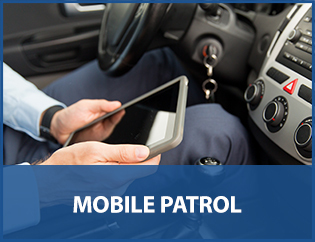 There are many ways to protect your business from alarm systems to mobile patrolling, keyholding and alarm response. With increased security measures in place, you could see a significant decrease in your insurance premium. In order to understand the security requirements of your company, we offer a free site survey. This allows us to assess your property and to suggest effective courses of action. The nature of the business would determine the services offered. With Pro-guard Security you are guaranteed to receive a supreme service. 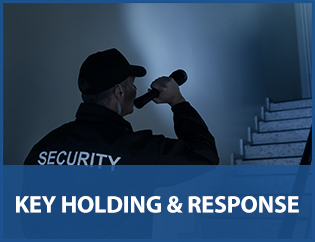 Our family-run business is licensed and regulated by the Security Industry Authority (SIA), approved and audited by the National Security Inspectorate (NSI) and accredited by the British Security Industry Association (BSIA). For all of your business security needs call 01922 214861 today.